I bought a new wide-angle lens today. I’ve been dithering on it for several months now and, after completing the taxes, finally decided to order it. When I went into the camera store, they actually had one in stock, so I was (completely unexpectedly) able to walk out with it, along with a UV filter to protect it, in-hand. 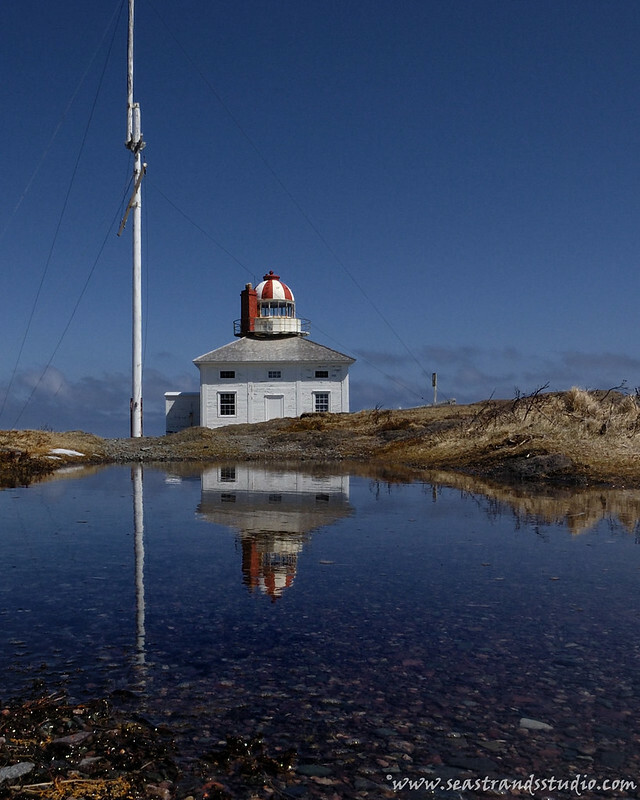 I've almost given up on taking pictures of the Cape Spear lighthouses. It's so difficult to get an original angle and they've been photographed to death. Finding a reflection was a new perspective on this for me, though, so I took a chance. 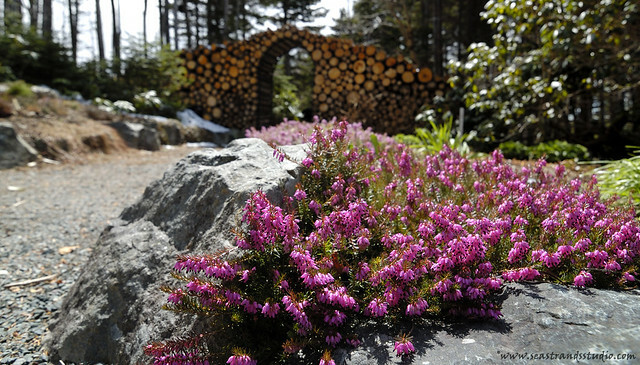 Erica carnea and an archway of logs (butterfly homes) at the Memorial University of Newfoundland's Botanic Gardens. It’s a Tokina AT-X 11-16mm f/2.8 PRO DX for Nikon and is an absolute joy to use. The way I often shoot is quite premeditated; I generally pick my locations and shots well before I put the camera to my eye. I usually scout out weather, topography, angles, vegetation and all manner of other relevant details, before I head out to take pictures. What this means is that I have in my head a picture that I want to make and I then have to wrangle the gear and angles to turn my vision into a reality. It’s very much how I work with textile art pieces, too. 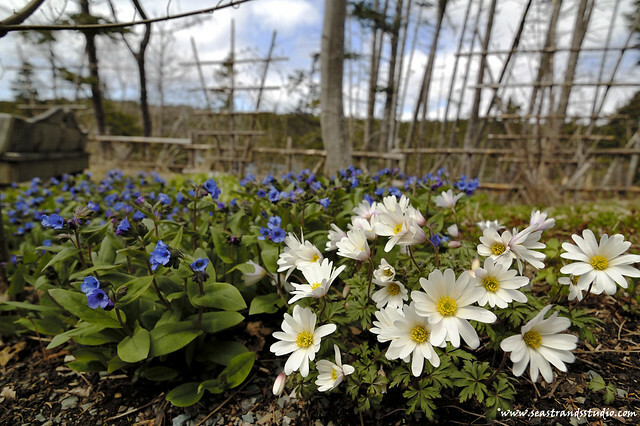 Lungworth and windflower, an apt pairing for a breezy day at the Memorial University of Newfoundland's Botanic Gardens. My selection of the Tokina was based on reviews and also on surveying the photos taken by others whose work I see as somewhat similar to my own. It’s a lens that will outlast the current camera I’m using (Nikon D70) and will be useable with future upgrades to my camera body. It’s fast, crisp and a delight to use (although I’m still getting used to exactly how much extra expanse I have at my disposal now). The lighthouse photo is very beautiful! Great shot :). Thanks!! I’m off to check out your blog now!